You can make the most of your time at the MN Historical Society Library by finding materials you want to use before you arrive. The dropdown menu options labeled "MHS Search Options" will let you search specific portions of the collection like Maps, State Government Records, etc. You can use OR and NOT in your search. Example: (logging OR lumber) NOT Minnesota. Think creatively about your search terms and how you might limit or expand them. Remember, the catalog search only searches for words that are in the catalog records, not all the words in the full text of articles, books, etc. The ? can help find matches that contain portions of words or different spellings. For example, agri? will retrieve agri, agribusiness, agriculture, agricultural, agriculturist, etc. In another example, ?ology will retrieve anthropology, archaeology, psychology, etc. A search for wom?n will find both woman and women. 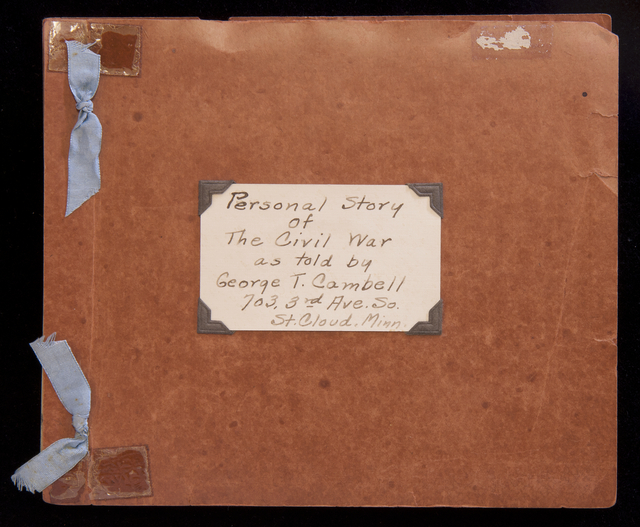 Some of the best primary source materials are manuscript or archival collections. These include things like diaries, letters, government records, and the records of companies and organizations. All of these collections are listed in the online catalog, and about 10 to 15% have full online finding aids. A finding aid is a more detailed inventory of a collection and you can search them online from the Collection Finding Aids webpage. Collections that do not have a online finding aid will have a print finding aid that you can look at in the Library. Start simple with 1 or 2 search terms. Add more words or use the filters on the left to be more specific. Think creatively about search terms. For horse-drawn carriages, you might try carriage, coach, or buggy. To search for an exact phrase in an exact order, use quotation marks ("Civil War"). Abbreviations may give different results than full words (Ave vs. Avenue, St vs. Saint). Write out numbers (Eight instead of 8). Don't worry about punctuation. The search ignores punctuation. Searches are not case sensitive. Minnesota and minnesota are treated the same. Secondary Source - Materials that were created at a later time. They analyze and interpret primary sources; footnotes or bibliographies can lead to primary sources. Still confused about Primary vs. Secondary Sources? Check out our short video tutorial! Having trouble with your searching? Contact the MNHS Librarians for help. The Gale Family Library at the Minnesota Historical Society (MNHS) will award prizes for the most outstanding entries in the MN State-level competition that utilize primary source research materials from MNHS collections. For more information, please see page 20 of the 2018 State History Day Topical Prize Catalog!